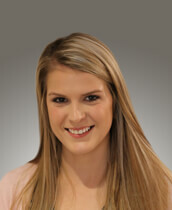 New to property management, Ashley brings a passion for customer service to the UDC team. She graduated from Concord University in 2016 with a Bachelor’s in Business Administration with an emphasis on Management. Originally from Bluefield, Virginia, Ashley moved to East Tennessee in July of 2017. Before joining the team here at UDC, she worked in the retail industry and at a law firm where she honed her skills and gain the knowledge she uses every day to manage our properties efficiently and ensure our tenants have a positive experience. Currently, she lives in Bristol with her two puppies, Muffin and Mia.